David "Dai" Fitzgerald (1872- 1951) was born in Cardiff who played 65 times for Cardiff before he switched to rugby league. Fitzgerald first played rugby for St David's in Cardiff, one of several Welsh teams built around Catholic churches. He switched to Cardiff, from where he also played for Hibernians Football Club, an invitational team, made from players in the Cardiff area that could claim Irish decent. In 1891 Fitzgerald was part of the Cardiff team that played host to the very first Barbarians team to play against the club. Dai Fitzgerald was first selected for Wales in the 1894 Home Nations Championship against Scotland which Wales won 7-0 with Fitzgerald scoring all the points (a try and a drop goal) and was chosen for the next away game against Ireland, which Wales lost. Fitzgerald was never chosen to play for Wales again. Despite not playing for Wales, he still turned out for Glamorgan but in 1895 he changed codes and 'Went North' to join Leigh. In 1896 he switched to Batley, where he played most of his professional rugby. Fitzgerald won three Challenge Cup winners medals with Batley, in 1897, 1898 and 1901. 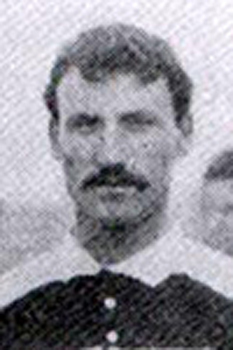 After going north he was involved in a legal dispute regarding his employment as a coal agent and this prevented him playing between the end of 1898 until May1890 and which saw him suspended from the game for almost two years. After his rugby came to an end Fitzgerald returned to Cardiff to run a marine store.